Last week, we announced the winners of our 2018 Earth Day Poster & Essay Contest! Our competition (now in its second year) asks every participating student to focus on their role as a care-giver of our world and to demonstrate their understanding of recycling and the benefits of reuse. 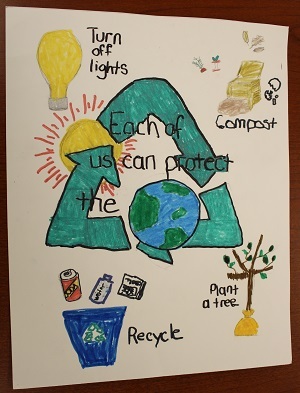 For this year’s competition, we asked students in 1st-5th grade to create posters illustrating the importance of recycling and how it can protect the environment. 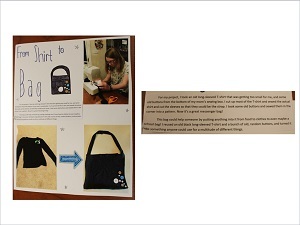 For students in 6th-8th grade, we asked them to take something they were going to throw away and transform it into something that would bring joy to someone else. 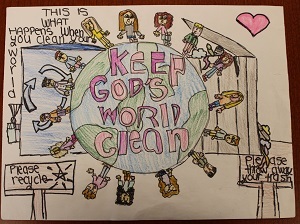 Twelve local Catholic Schools and more than 1,000 students have participated in this contest over the past two years, creating projects that were thoughtful, creative, and illustrated their understanding of the significance of recycling and reuse. A special thank you to all of this year’s participating schools: Saint Thomas More School, Saint Kilian Parish School, Saint Monica Catholic Academy, Saint Anne School, Saint Gregory Catholic School, Saint Bernadette School, & Saint Louise de Marillac Catholic School! Here are the 2018 Society of St. Vincent de Paul Earth Day Poster & Essay Contest winners! To see all of our finalists’ projects, visit our Facebook page. Want to keep up-to-date on all things St. Vincent de Paul? Sign up for our e-newsletter! The series joins Vincentians on their spiritual growth journey through service to people and families in need. From home visits to food pantries to financial mentoring programs, “Our Faith In Action” shows how Vincentians see the face of Christ in the people they encounter. The Pittsburgh Council will be featured in the third episode of the series which will air on Sunday, March 18th at 6:30 a.m. and Saturday, March 24th at 6:00 p.m. In addition to highlighting the Madison and Rhode Island Councils, our episode will feature Vincentians from our St. Irenaeus conference conducting a home visit with a local family. Home visits sets St. Vincent de Paul apart. Our members live in the communities that they serve; they are truly helping their neighbors. Crystal and Matthew Williams received assistance and are featured in the Pittsburgh episode. 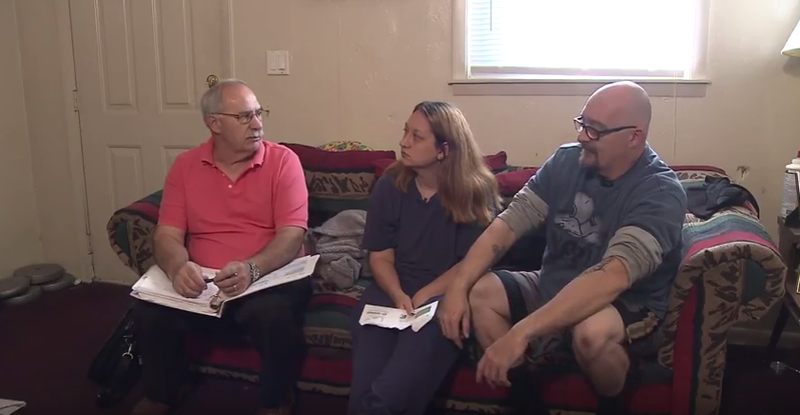 To learn more about home visits and other services provided by the Society across the country, make sure to tune in to “Our Faith In Action.” To keep up with everything related to the Pittsburgh St. Vincent de Paul, make sure to sign up for our email and follow us on Facebook, Twitter, and Instagram. If you follow us on social media or have listened to Star 100.7 recently, this is probably something you may have already seen or heard. But in the event that you’ve also spent the past week or so hibernating from the cold and snow, here’s some big news: our Sleep Like A Saint mattress sale is BACK! And here’s some even bigger news: so are our Daily Specials!! Let’s take this one exciting development at a time. Sleep Like A Saint: From now until March 31st, you can purchase one of our factory fresh renovated beds at any St. Vincent de Paul thrift store for 10% off. This sale only happens once a year, so if you need a mattress for the spare bedroom, your summer campground or for a dorm room, now’s the time! What is a renovated mattress? Renovated mattresses and box springs are made from at least one component of a previously used bed. Each bed is constructed to the same quality and standards as a new bed, but they cost less and keep unnecessary waste out of local landfills. A few months ago we moved away from our daily specials to try a different system. After a hearing from many of you during that time, we have decided to go back to our tried-and-true specials. So starting this past Monday (January 12, 2018), they are back in effect! Saturday is 99 Cent Day: All clothes, shoes, purses, belts, and linens with a tag of a certain color are just 99 cents! We hope you’re as excited as we are at the return of our specials. Thank you for your continued support and feedback! To keep up with the goings on at St. Vincent de Paul, make sure to follow us on Facebook, Twitter, Instagram, YouTube, and by signing up for our email list.